This beautiful 17th-century estate dominates the village of Gigondas, just as this outstanding wine will come to dominate the ever-growing reputation of its wines. The investment made by the Perrins here demonstrates their faith in these cooler sites; in this instance the north-west orientation defines the micro climate and ensures a late harvest. Fifteen months later, the latent complexity has been captured and bottled and the results are superb: Grenache dominates with over 90 percent of the blend, and very successful it is too. Blue and black fruits vie for attention; the attention, secured, is held by the midpalate focus, purity and impressive length. Griotte and mocha on the finish complete a most satisfactory gustatory experience. Deferential perhaps to what the Chapoutiers have achieved in the north with their single plots in Hermitage, the Perrins have segregated their top domaines into a ‘parcellaire’ category. Fully owned and farmed on the most rigorous organic principles, these exciting wines reflect the family’s faith in the villages of Vinsobres and Gigondas, the hillside locations of which chime with changing meteorological and climatic patterns. Gigondas has been renowned for the quality of its wines since Roman times, although it was not really until it was classified as a Côtes du Rhône Villages in 1966 that it began to realise its potential. It achieved AC status in 1971 and today produces some of the finest, most underrated and under-priced wines in the Rhône valley; although, for the last two of these at least, probably not for much longer. Gigondas' 1,200-hectare of rugged vineyards are located east of Châteauneuf-du-Pape, beneath the famous mountains of Dentelles de Montmirail. Gigondas produces sumptuous, plummy reds with a good structure and a sprinkle of pepper. 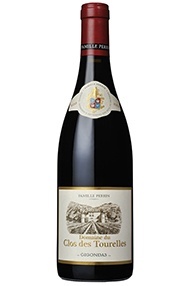 It is similar to (if a touch less slick than) good Châteauneuf-du-Pape which, at its best, it can challenge and even surpass. Made with a maximum of 80 percent Grenache, combined with at least 15 percent Syrah and/or Mourvèdre, the rest can be made of any of the varieties authorized for Côtes du Rhône – apart from Carignan. The wines can normally be broached after two to three years, while the best repay ageing for 10 years or more. The region also produces dry, Grenache-dominated rosés which are good but can sometimes lack a little vitality.